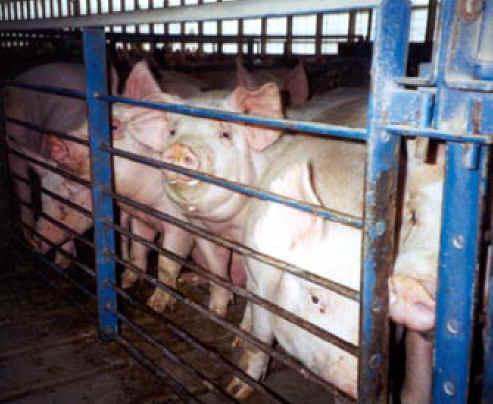 (Pig Exploitation - Factory Farming - 03) Look at the expression on these little pigs' faces. They seek a little love and compassion from the photographer, even though other human beings have mistreated them. The only way we can show them the loving-kindness they seek is for humans to stop eating them.